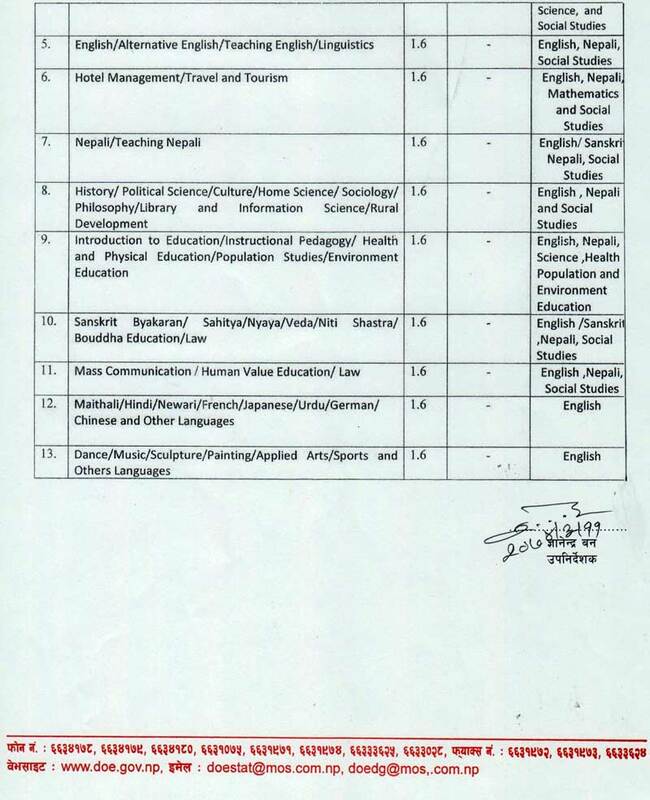 Today, 25 June, 2017 [11 Aashad, 2074], Government of Nepal, Ministry of Education, Department of Education [DOE] publishes the enrollment criteria for Grade XI for the academic year 2074/2075. Department of Education [DOE] states that they have made new criteria for the enrollment in Grade XI by encompassing the earlier published Grade XI enrollment criteria of HSEB and various decisions published later on. A meeting held in the chairmanship of Deputy Prime Minister and Education Minister has requested to implement this guideline. SEE Result 2073  | Check SEE Grade/Mark [Grade Sheet] | SEE GRADING SYSTEM In NEPAL | Eligibility to choose subjects after securing marks in SEE? 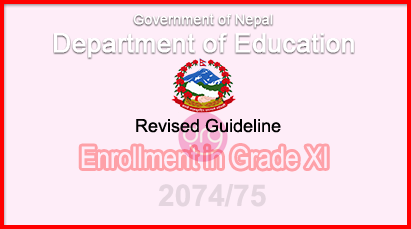 Download In PDF - Revised Guideline for the Enrollment in Grade XI | 2074  Published by Department Of Education Nepal. 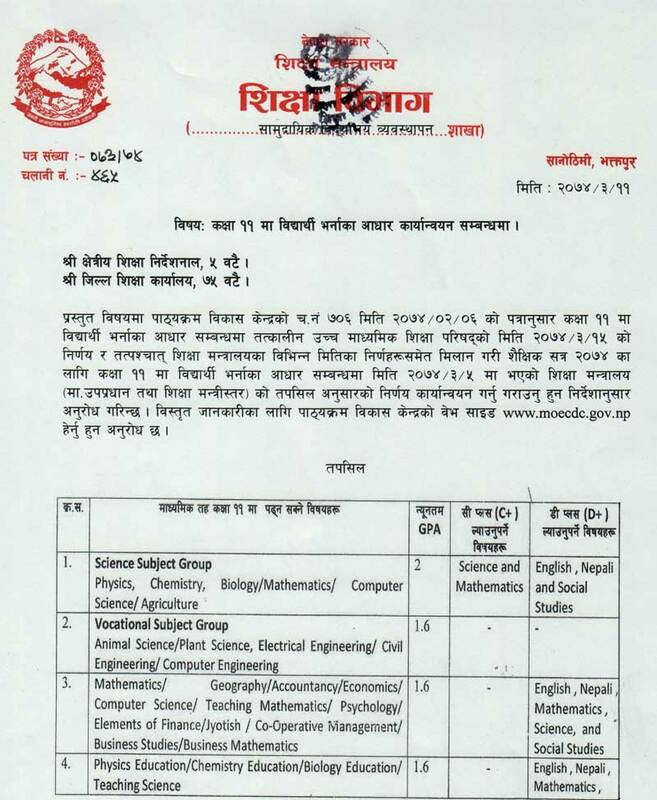 0 Response to "Revised Guideline For The Enrollment in Grade XI | 2074  | Department Of Education [DOE]"